This goal is all about Word Choice. 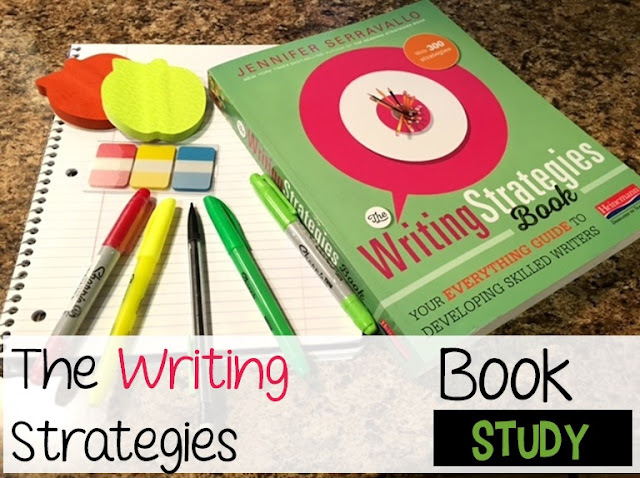 Serravallo says that the words we choose as writers "have the power to communicate tone, clarify an intended meaning (or not), and give writing voice". If students don't carefully consider their choice of words, they can end up with writing that is vague or flat. She also says that some writers don't need to give deliberate attention to word choice. These students write with voice and clarity already. For others, strategies in this section will help elevate their writing and style. 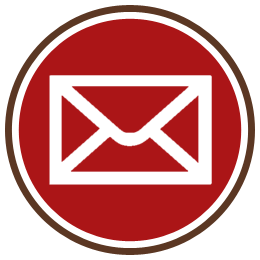 * write pieces that are organized and detailed, but could use work communicating their meaning by being more specific or precise. * could use help varying the words they use in their writing. 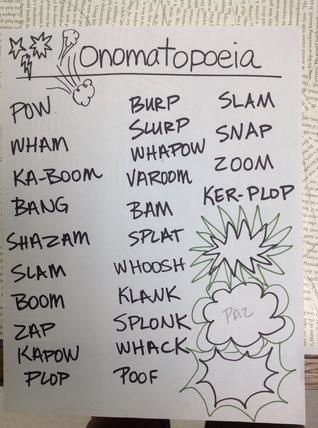 My students LOVE this strategy - quite possible because the word onomatopoeia sounds so funny, but, I will take any reason for engagement and excitement about writing! You ask the student to imagine themselves inside their story. What do they hear? How would they write that word? 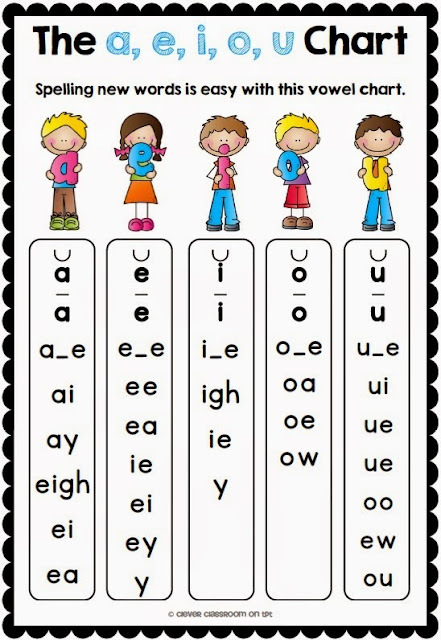 You might also want to provide students with an anchor chart like the one below as well. This strategy asks students to keep a list if words authors use about the topics they are researching. 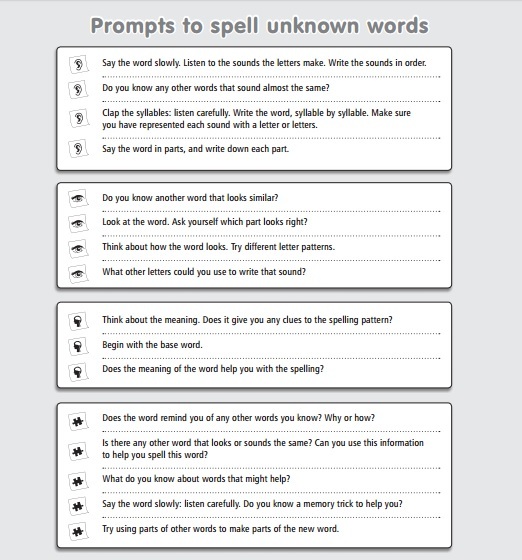 They could then use the list to help them use domain specific vocabulary in their writing. You might start the lesson with an anchor chart like this one from the book. 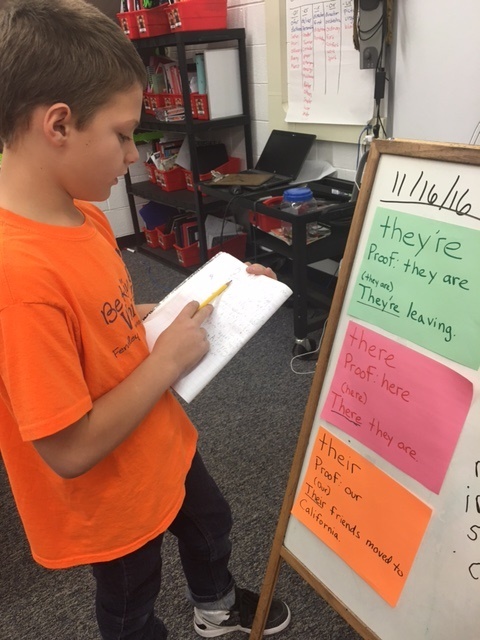 In this strategy, students return to their drafts, underlining all of the nouns. They should look back at these nouns and ask themselves, "Can I get any more specific?" Instead of just saying the boy, could they mention them by name? 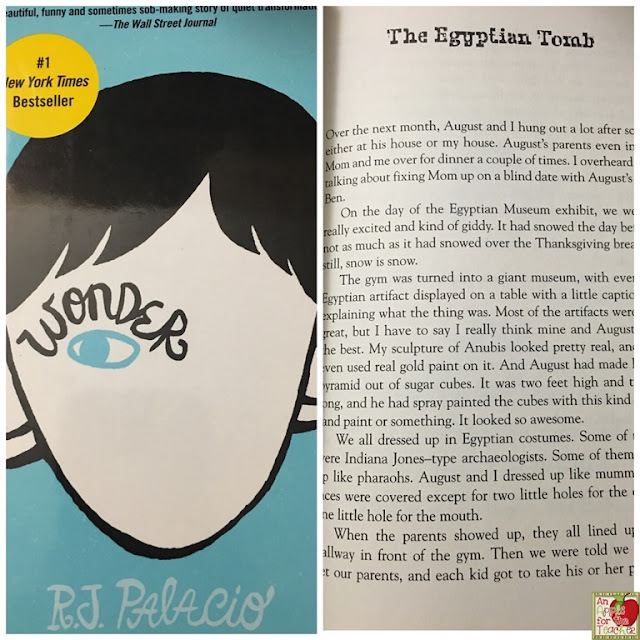 I might introduce this strategy with one of our current read alouds, such as Wonder. 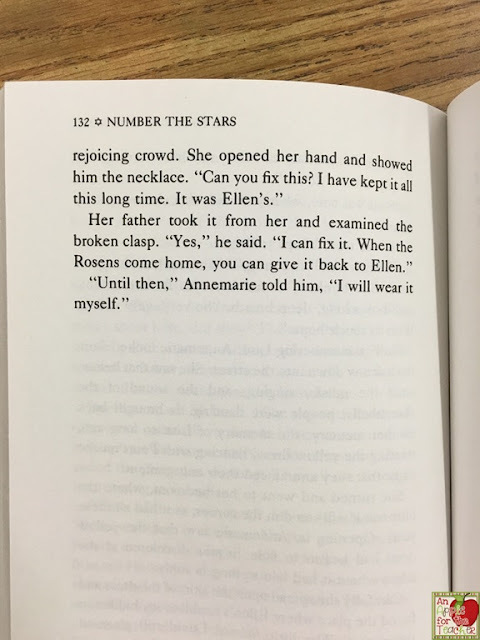 I would have the students see if they can find the different nouns in a page, and see where the author was REALLY specific. In this page they might notice that the costumes were specifically Egyptian costumes and Indiana Jones-type archaeologists. I would ask them, " How do these specific nouns help the readers make a better picture in their mind?" The end of school year is fast approaching! We only have 2 weeks left of school! But, I'm sure many of you are already getting a head start on next year. 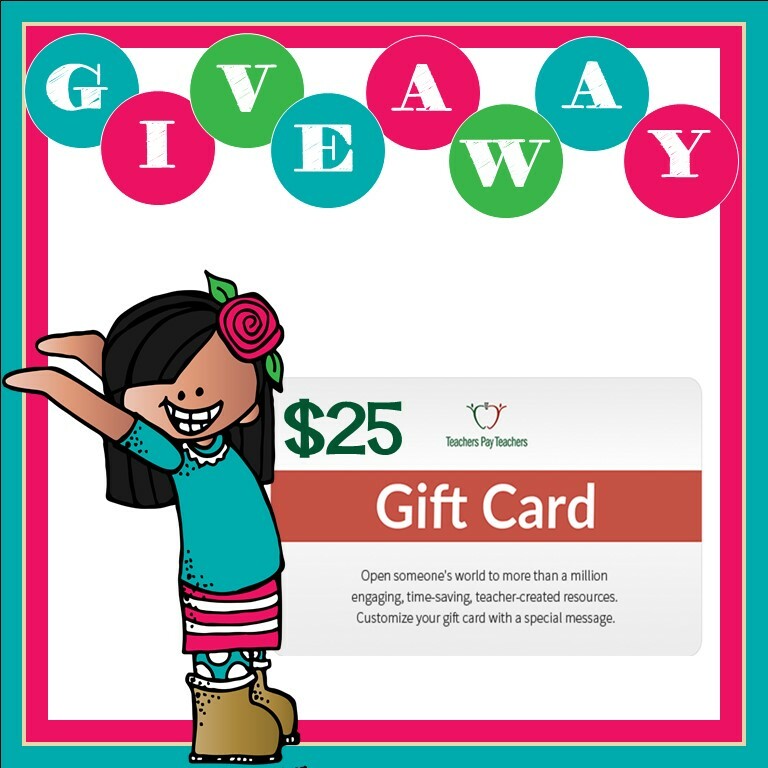 Wouldn't a $25 Teachers pay Teachers gift card come in handy? 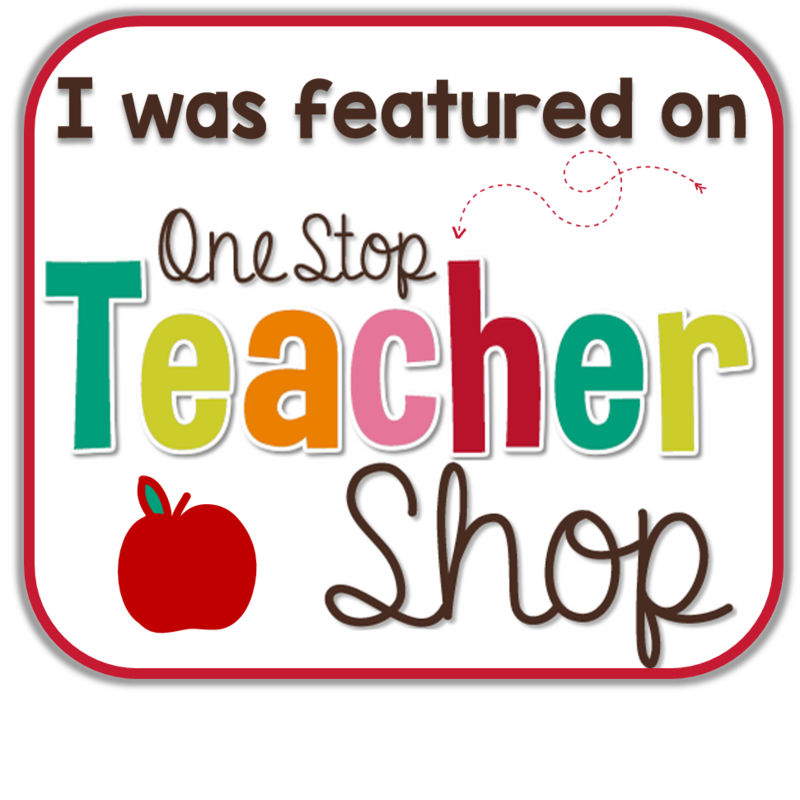 Co-hosts: An Apple for the Teacher, Simone's Math Resources, Walk with Me a Second, Kari Hall, Leah Popinski, Globe Trottin' Kids, Cathy's Cool Creations, and The Meaningful Middle. 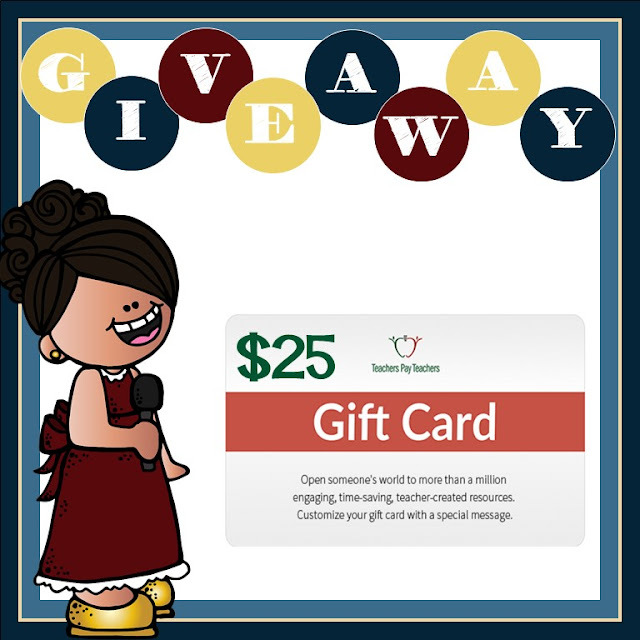 Rules: Use the Rafflecopter to enter. 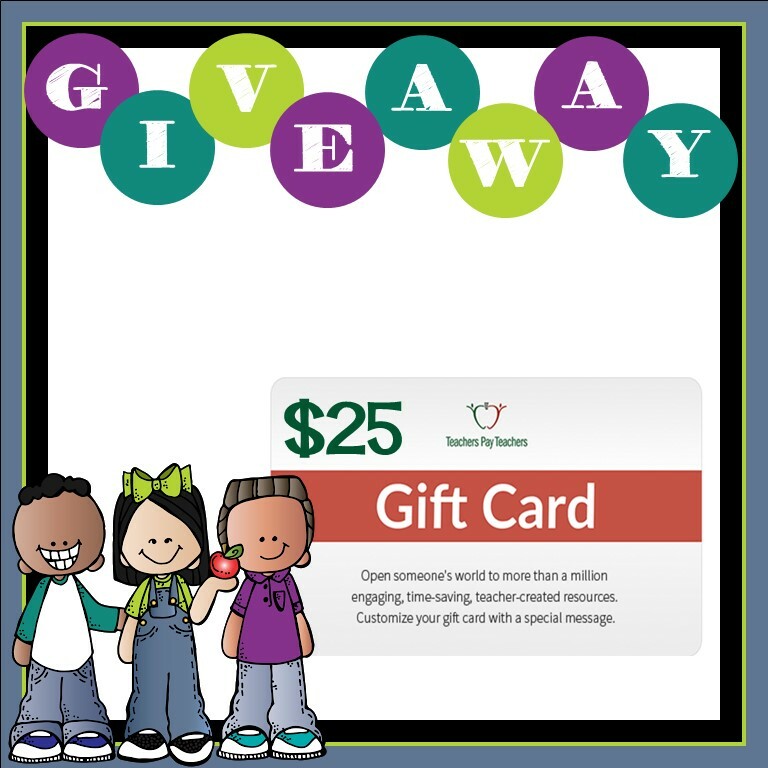 Giveaway ends 5/22/17 and is open worldwide. Serravallo defines elaboration as "the specific information a writer uses to develop her writing". She says it can include things such as details, facts, dialogue, descriptions and more. She says it is the purposeful detail that brings a piece of writing to life and conveys the author's purpose. * write with very few details. * need help varying details. * need support in deciding what details should be included. I love this strategy! It is for those students who aren't quite sure about making a change. You have them take out a strip of scratch paper (or Post-It Note) that they can use to try out the change. They can later decide if they want to keep that change. 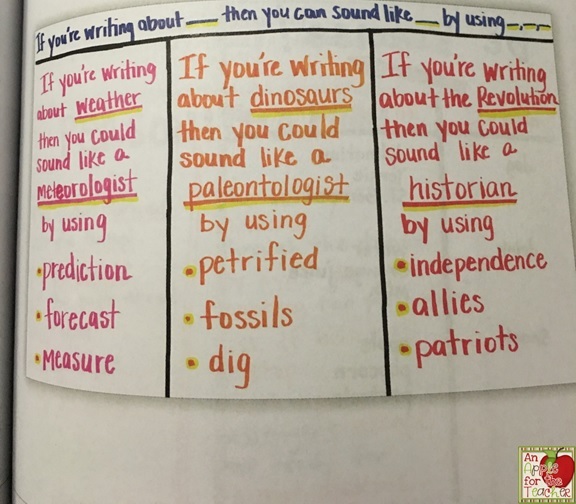 I love this idea for adding more interesting details to writing. Students think of the features they might want to compare, what else has similar features? 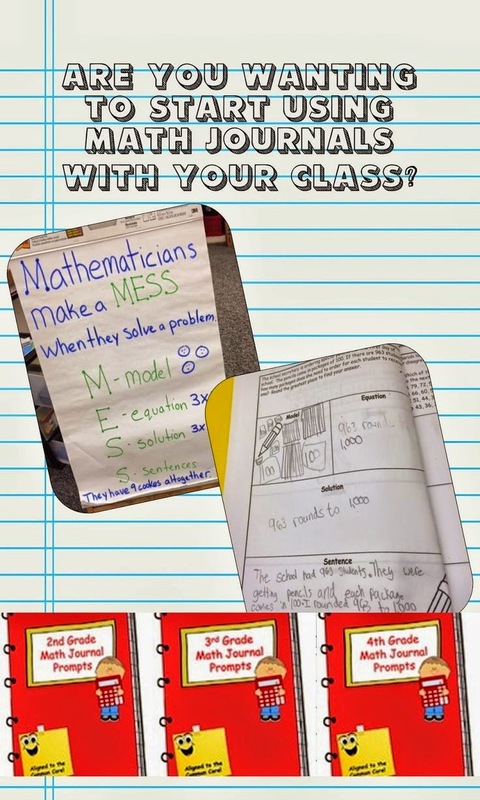 I love to use the mentor text Crazy Like a Fox A Simile Story to help students understand similes. This strategy asks students to think of their idea, claim, or thesis, and ask themselves, what reasons they have for thinking that way. What details prove what they want to say? 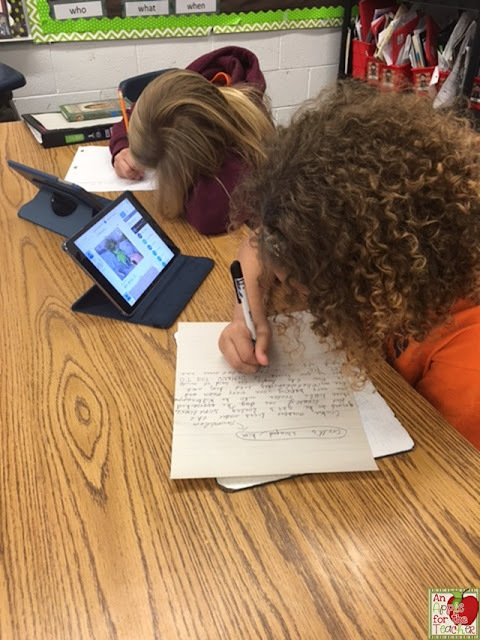 These reasons become extra details to help convince their reader. Make sure to visit Kathleen over at Courage Doesn't Always Roar. 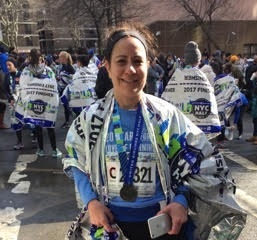 She is our official hostess for this week, and she has some more strategies and great ideas for you! 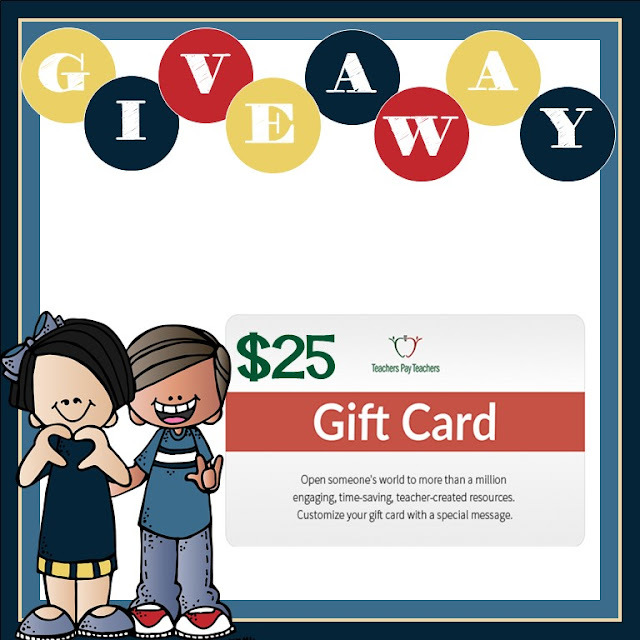 Our weekly giveaways are one of my favorite parts of the week! How would you like to win a $25 Teachers pay Teachers gift card? 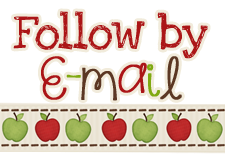 Co-hosts: An Apple for the Teacher, BKB Resources, Mrs Hansens Helpfuls, Teaching Autism, Cathy's Cool Creations and Walk with Me a Second. Rules: Use the Rafflecopter to enter. 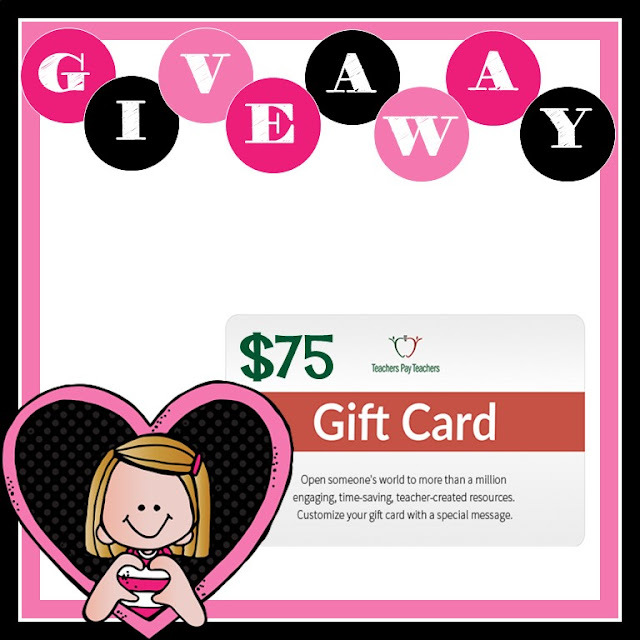 Giveaway ends 5/15/17 and is open worldwide. 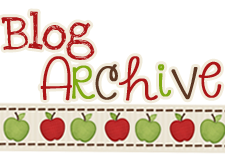 If you are on a traditional year round school schedule, you are on the home stretch of the school year! We get out on May 26th this year! But... if you are anything like me, the school brain doesn't turn off just because it's summer - you are likely already thinking about the next school year! And, lucky for you, you have a chance to win a $75 Teachers pay Teachers gift card to help you get ready! The organization and structure of a writing pieces is like the framing of a building. If a building doesn't have a frame, the walls will fall down. Likewise, if a writing pieces doesn't have an organized framework, the reader might be confused. Serravallo says that the strategies in this section aren't just for the planning of the overall piece, but also ways to improve parts of their piece such as the lead and the ending. 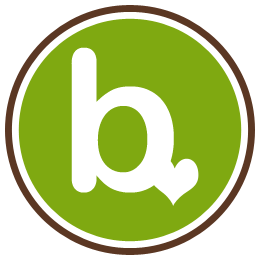 Serravallo provides a progression of what can be expected at various grade levels in terms of structure. She has a separate one for narrative, opinion, and informational writing. 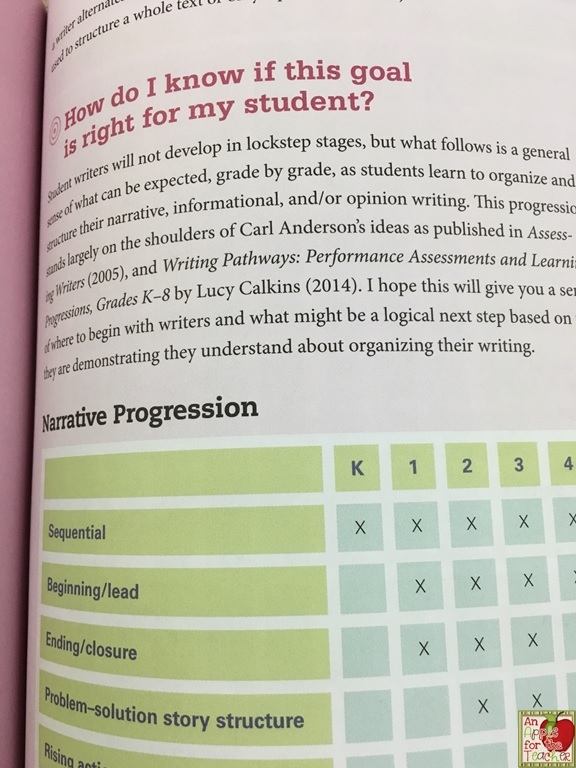 You can find where your student is at, and look toward the next step to help them improve their writing organization. 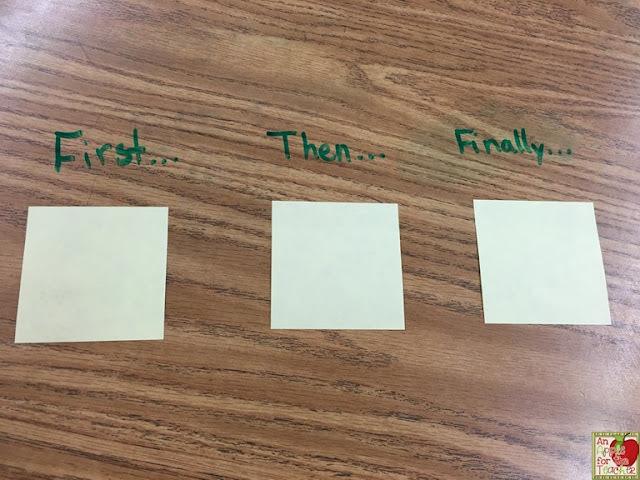 This strategy is good for helping students to organize narratives that move along chronologically. 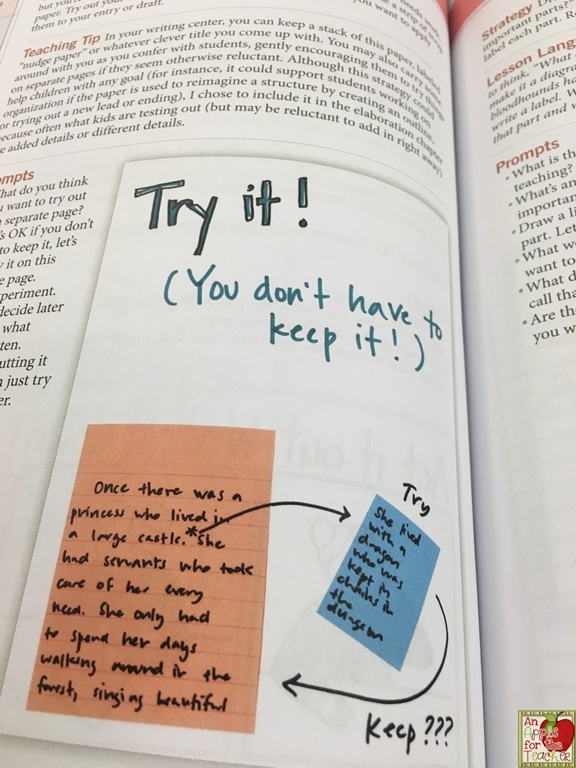 Serravallo suggests that students make a list of what happened first, next, after that, finally, etc. You could have students use Post-It notes to help them organize. 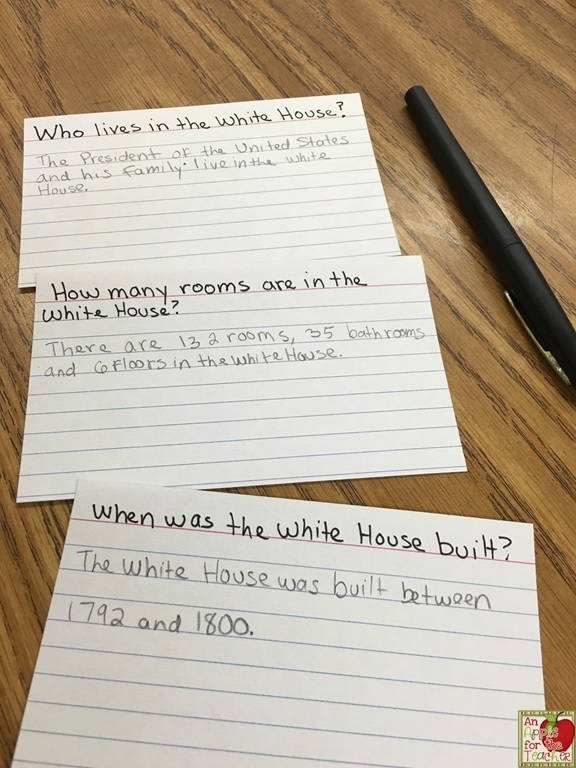 In this strategy, students think of a list of questions a reader might have about the topic they are writing about. They then think about how they might answer the question in one to three sentences. Serravallo suggests they use a new page in a notebook for each question. They could also use index cards for each question. 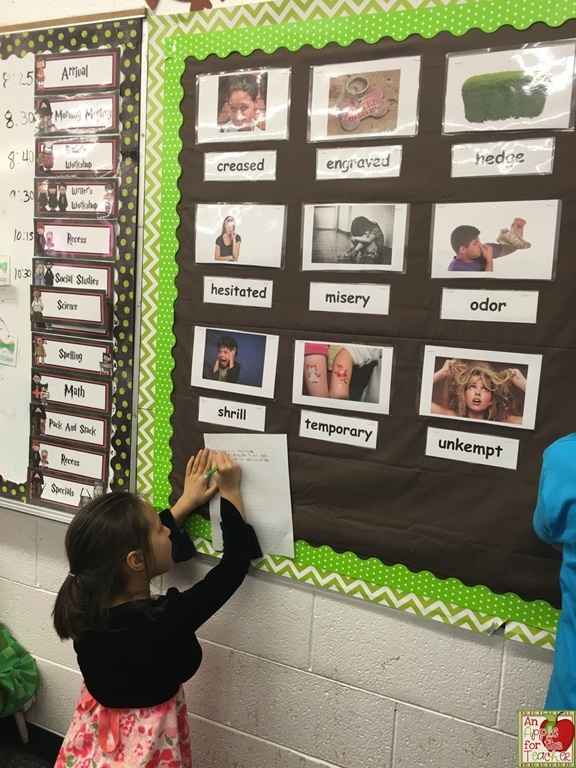 This strategy can help students to write stronger endings. They think about what the character might say at the very end. What is the last thing they want their reader to hear from the character? I might use the last paragraph in Number the Stars to illustrate this particular strategy. Make sure to visit Kelly over at Digging Deep to Soar Beyond the Text. She is our official hostess for this week, and she has some more strategies and great ideas for you!